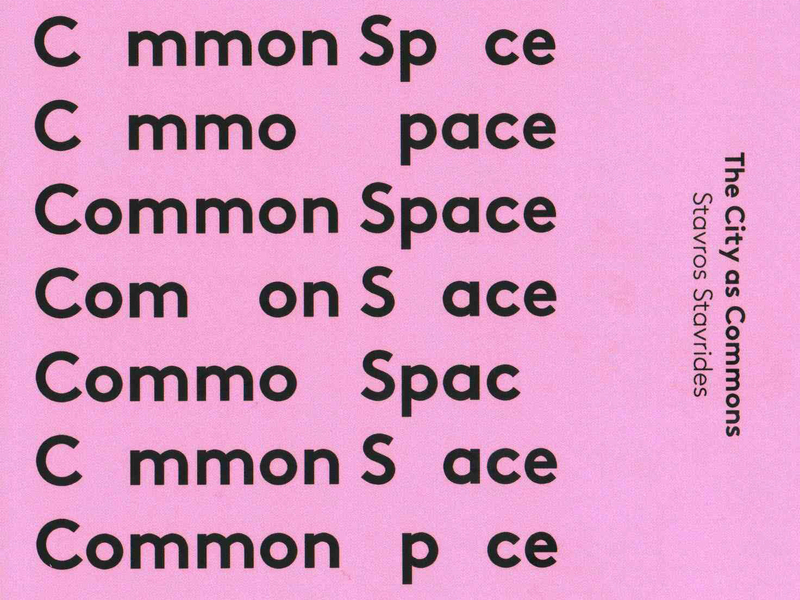 Common Space – by Greek architect, activist and professor, Stavros Stavrides – builds on commons and commoning discourse, alongside the work of great city thinkers like Lefebvre, Benjamin, Foucault and de Certeau, and more recent thinkers such as Ranciere, Negri and Hardt, to look at the specific role space plays in social and political production. Stavrides employs a novel stance, interrogating spaces of commoning as threshold spaces: spaces of becoming. This is a crucial thread, woven throughout the book, and it fervently pleads for us to create the commons, commoning practices, and spaces of commoning in movement. To avoid establishing archipelagos or enclaves or alterity, these spaces and practises must always be open to newcomers, differences, and change; they are, to borrow Stavrides’ term, communities-in-the-making. Thus, commoning is employed as a verb, rather than a noun; an issue, rather than a fact. He draws on numerous examples, historic and contemporary, to provide an image of space-commoning. One of which is social housing. While many modernist social housing projects demonstrated a shift away from profit-driven design towards social welfare logics, the prescribed social and spatial uniformity established enclaves. Disconnected from the common and public spaces of the city, they failed to support social change that its users participated in and benefited from. Studying models such as the suburban Seidlungen of the Weimar period, the urban Gemeindebauten of Red Vienna, and the social housing in Greece for the refugees of the 1922 population exchange, Stavrides highlights that it is only through the appropriation of the threshold spaces by the inhabitants that, in fact, created porous communities: an inventive common space creation through inhabiting practises (Stavrides 2016, 108-120). Beyond the role of housing in urban commoning practices, Stavrides also looks at the contested space of streets, occupied squares, and dissident practices of defacement. In Stavrides’ words: “the street is more than a spatial support of the circulation of people and goods.’ (Stavrides 2016, 149). Yet, as stands, these increasingly privatised and exclusionary spaces serve very little other than producing and consuming. On the ground, at the level of the everyday, the streets and the pavements, the squares and parks, residual and peripheral spaces, summon our right to the city. On this stage, various actors – from street vendors to skateboarders, guerilla gardeners to protestors – challenge the normalisation of space. Through networks of collectivity, they reclaim and renegotiate space as common, co-creating ‘space-in-the-making’. This book is hopeful inasmuch as it is critical. It is a must-read for all those interested in commoning – particularly designers, architects, urbanists, and city enthusiasts alike – as it addresses the commons from a unique spatial and architectural framework. By understanding architecture as more than market-driven financial flows and aesthetic virtues, can we challenge the post-political reign of the profession to reimagine more social and democratic cities? This book is sure to instil hope in the potential for human emancipation and the role our spatial environments can and will play.